We offer a wide range of training packages to suit all owners and dogs. Tell us more about you and your furry friend when you book a session so we can customize our training to better assist you. We are also able to provide phone consultations to meet your needs if you are unable to connect with us in person. For the health and safety of dogs and handlers, we ask that your dog be up to date with vaccinations and license. Time is at a premium for most people these days. Having the trainer come to you is a great option. Each one-hour session is customized to fit your training needs and what’s important to you. Private one-on-one training sessions are offered with a flexible schedule in the comfort of your environment. Why choose private in home? Just like our mobile lessons this option is similar, but you come to us. Each session is customized to fit your training needs and what’s important to you. On site allows for equipment use, distraction work and off leash obedience exercises in a safe open environment. Private one-on-one training sessions are offered with a flexible schedule and all lessons include handouts with email support. A great fit for those wanting to work on “real life” issues. Our “Out & About” classes do exactly that-work on issues you are experiencing in everyday situations. These classes work to build a solid set of foundation obedience skills for real life everyday challenges. Classes will give you the skills & tools needed to develop manners, obedience, impulse control. All classes include information & homework sheets. Out & About-Level 1: Basic Manners-This program works on building a solid set of foundation skills. We develop basic obedience skills and learn impulse control techniques. Teaching you the skills needed to have a well-mannered companion. Out & About-Level 2: Basic Manners-This program builds on the foundation skills taught in level one. We continue to add to our level one skills by adding distractions and challenges. This class advances K9 and handler to the next level of obedience & control. Reactive Dog: This class will teach focus, redirection, conditioning, desensitizing & effective handling techniques. Learn to read your dog’s body language & recognize triggers. Class size is limited. Puppy Starter Program: A must have for every new K9 member! 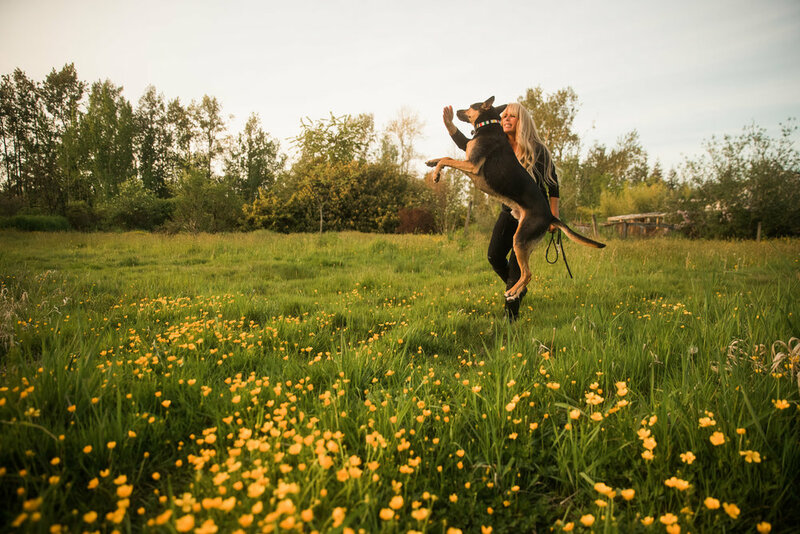 Four private sessions covering what you need to start your pup off on the right paw. This program comes with an information package, homework sheets & follow up support. Semi-Private: Bring a friend with you! Private sessions available for you and your training partner. This option is a cost-effective way of sharing a private session with a friend. Need something more specific? We target behaviours and give you the tools and skills for your dog to achieve success. Rocket Recall – Learn how to develop and retain a reliable recall. Impulse Control – Problems with an excitable and overly exuberant K9? Then this workshop is for you. Tricks – Are for fun & provide excellent stimulation for our canine friends! Competition Obedience Coaching – Thinking about entering the obedience ring? I can help you get there & have success. Tracking classes are available, please contact us for rates and more information!